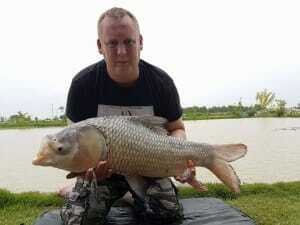 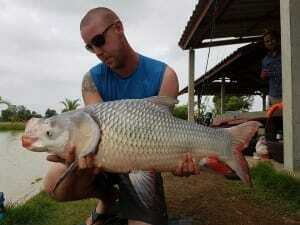 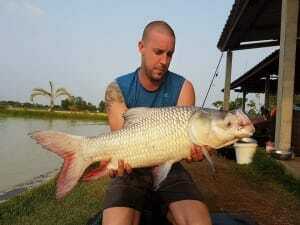 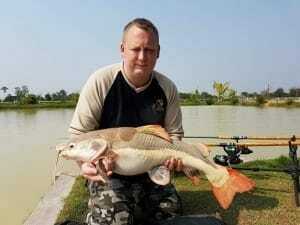 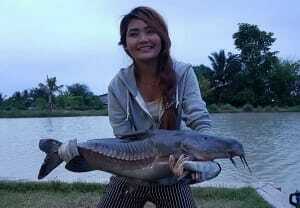 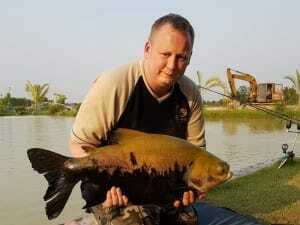 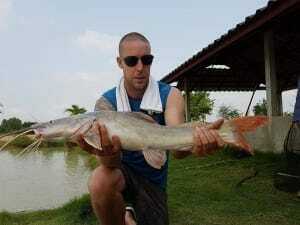 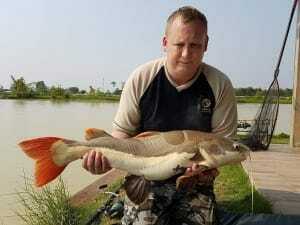 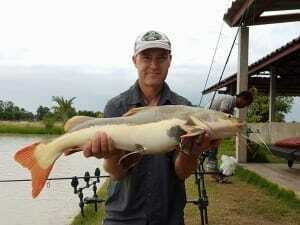 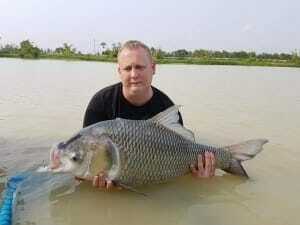 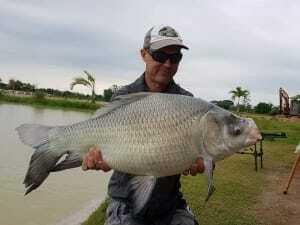 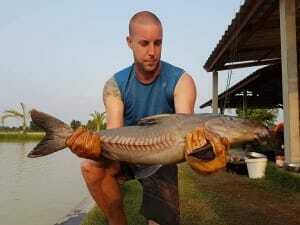 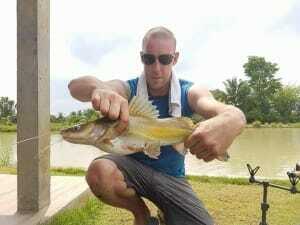 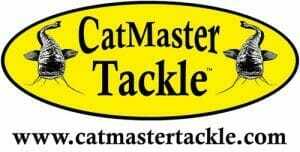 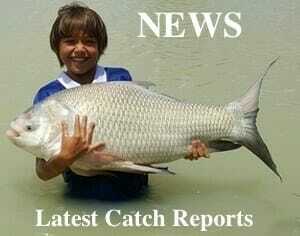 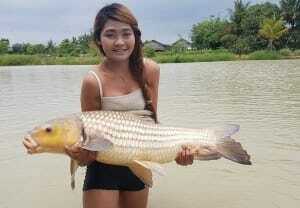 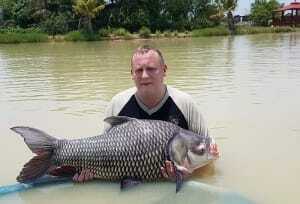 Day 2 for Andy and Pear … 11 different fish species…. 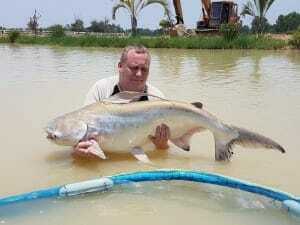 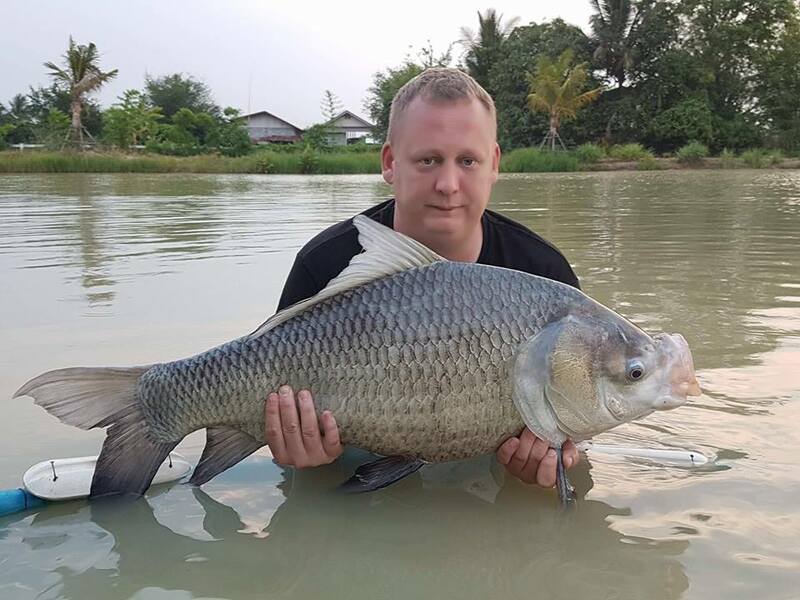 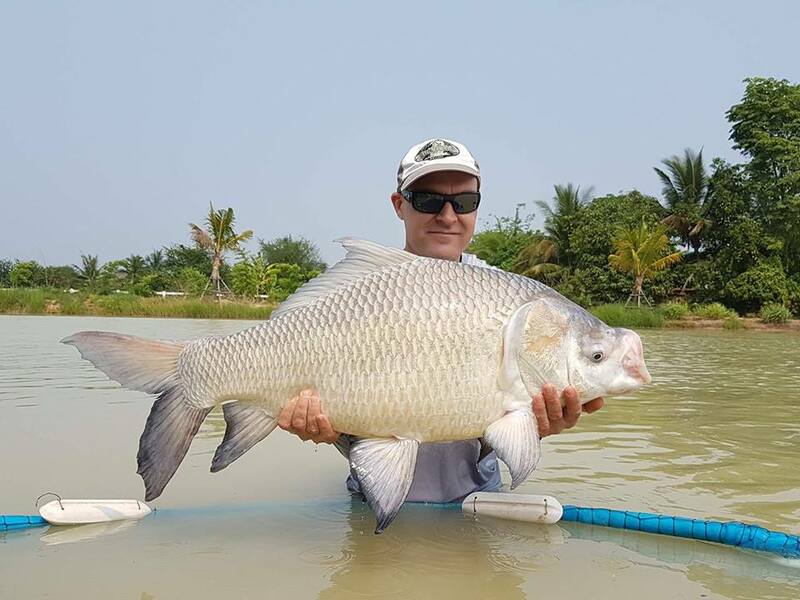 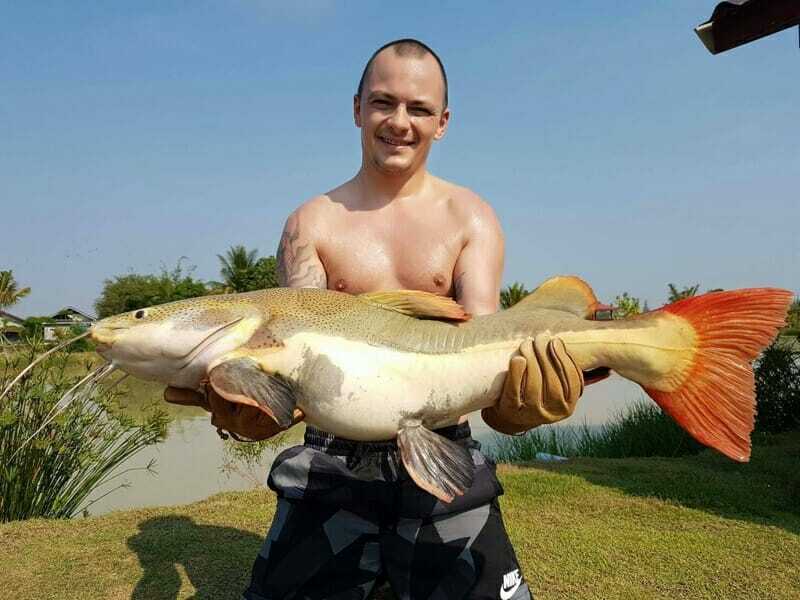 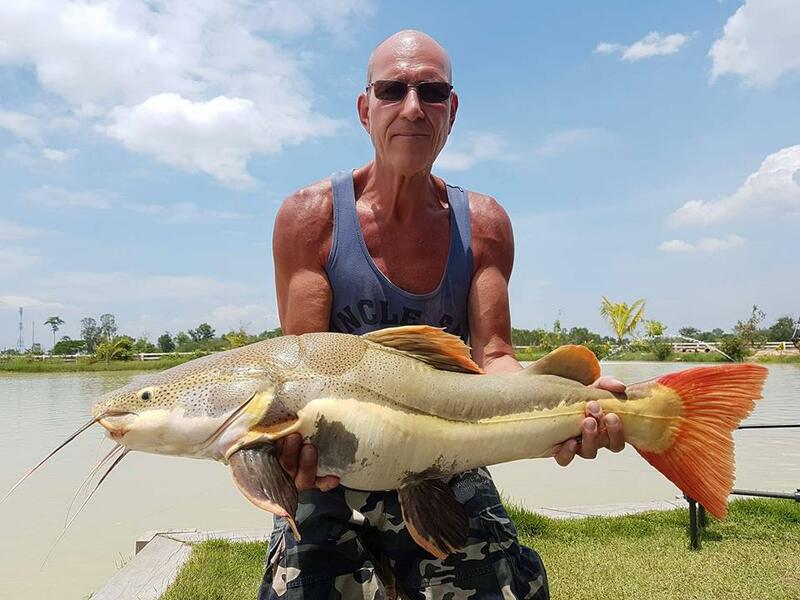 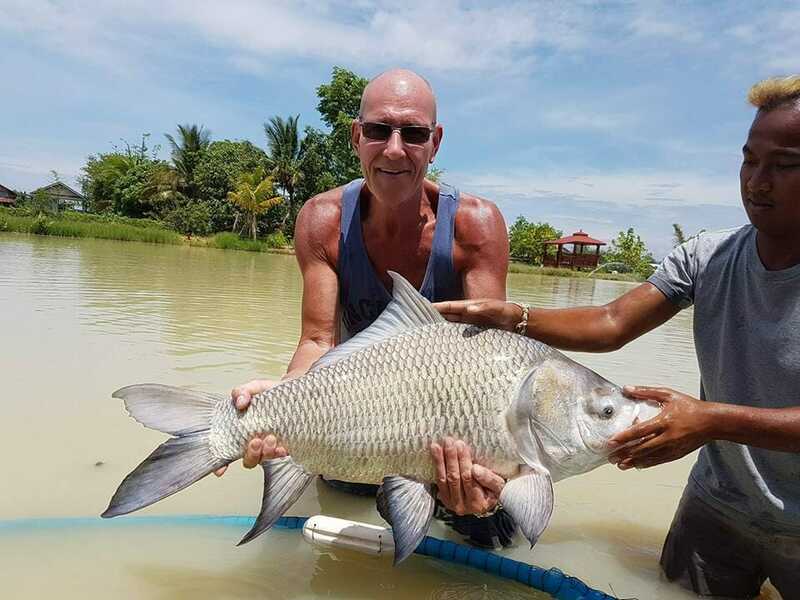 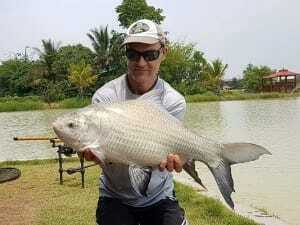 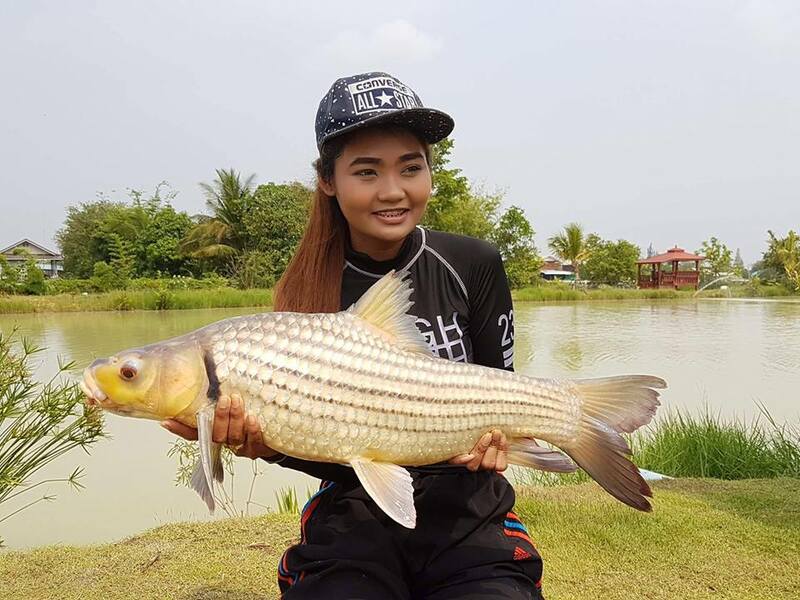 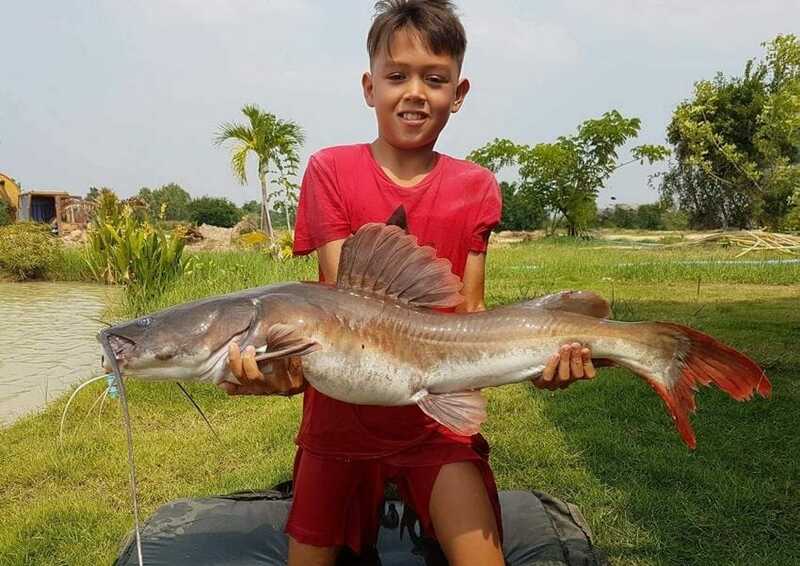 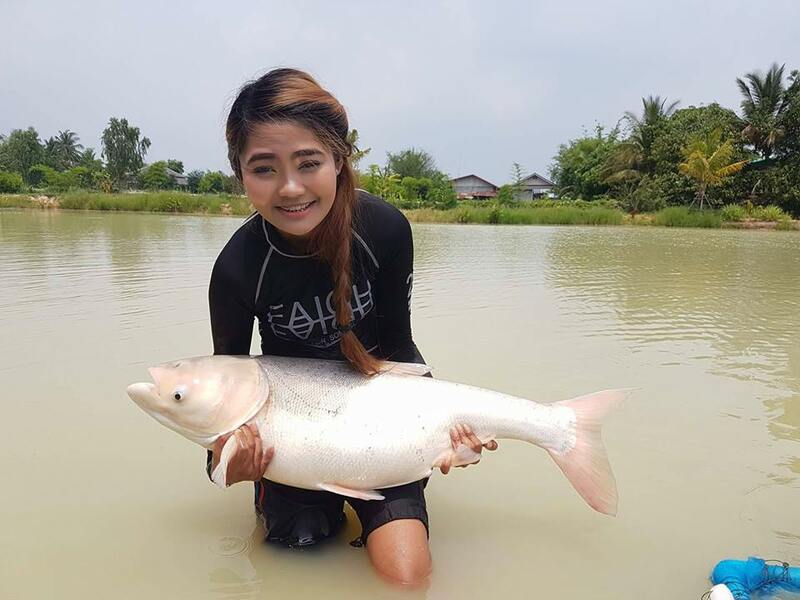 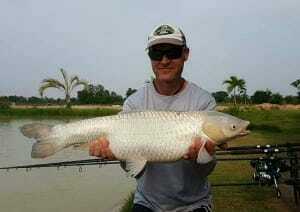 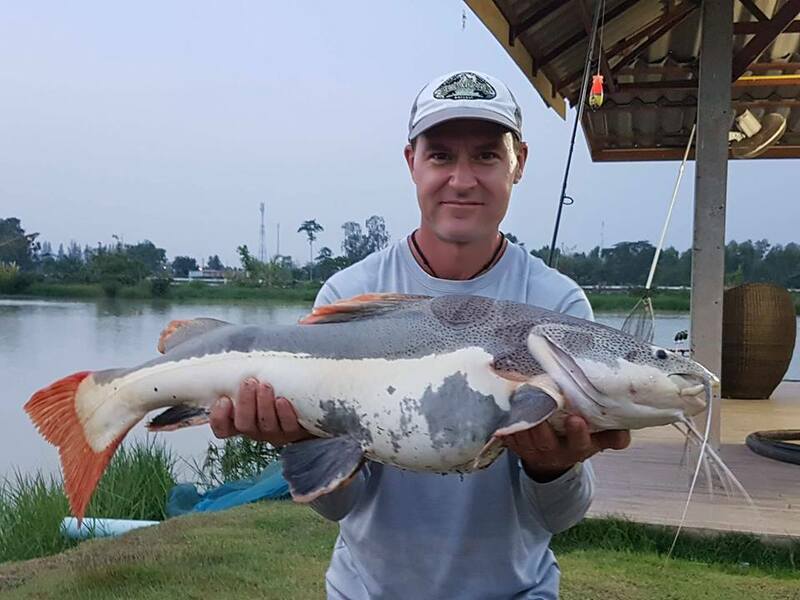 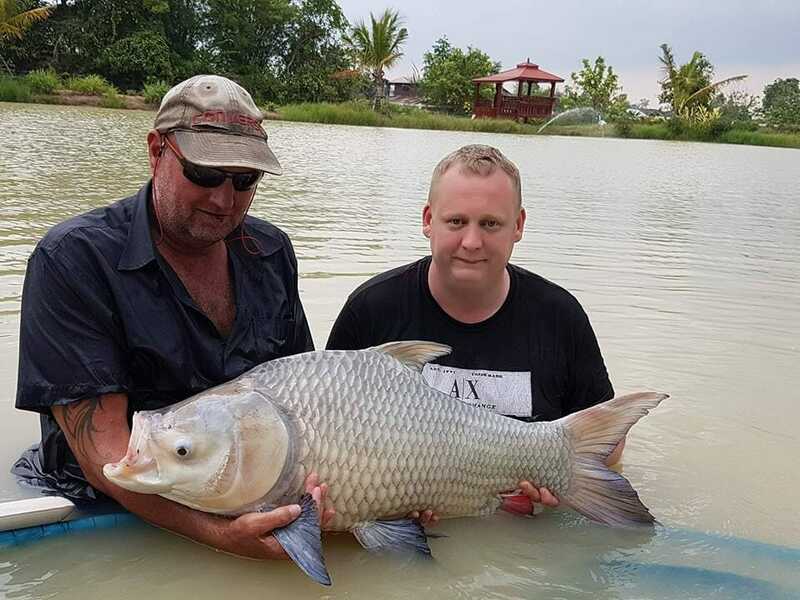 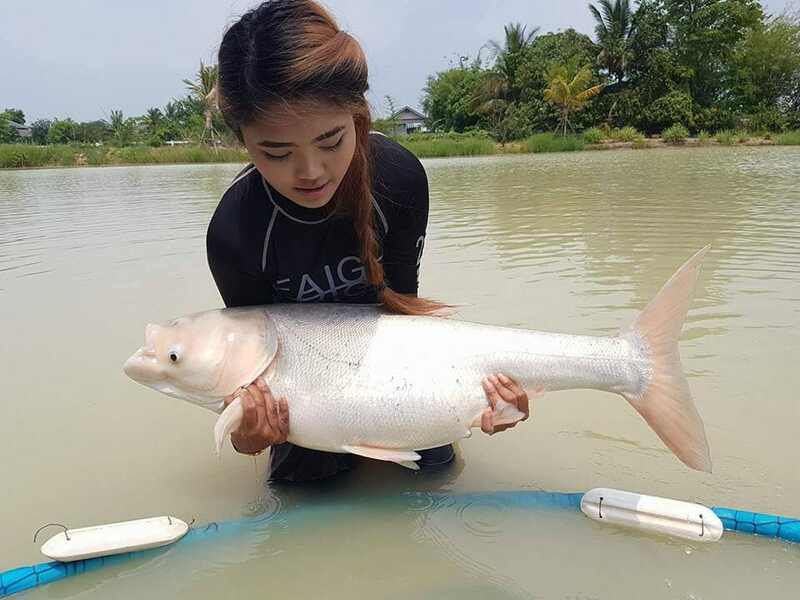 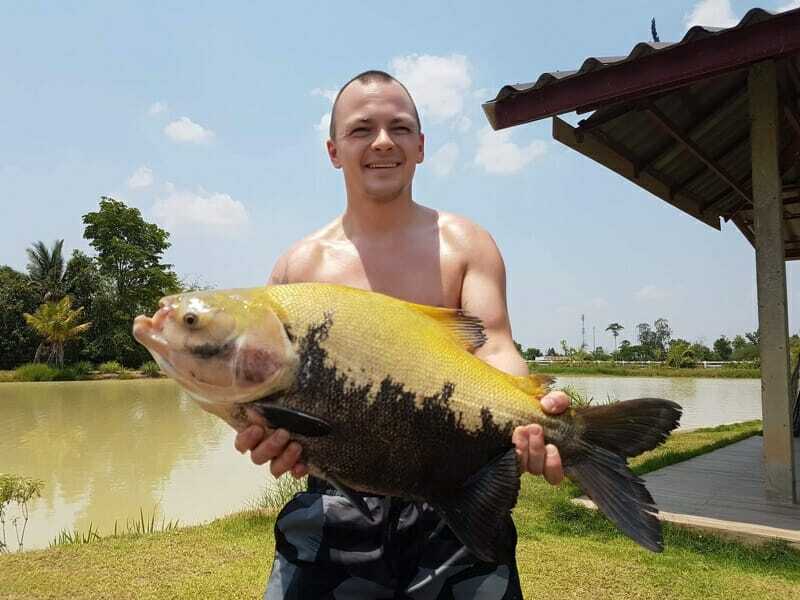 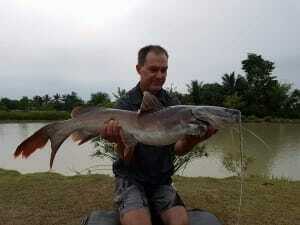 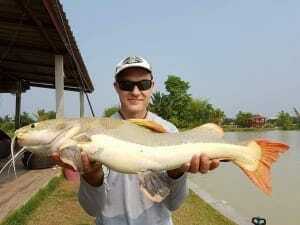 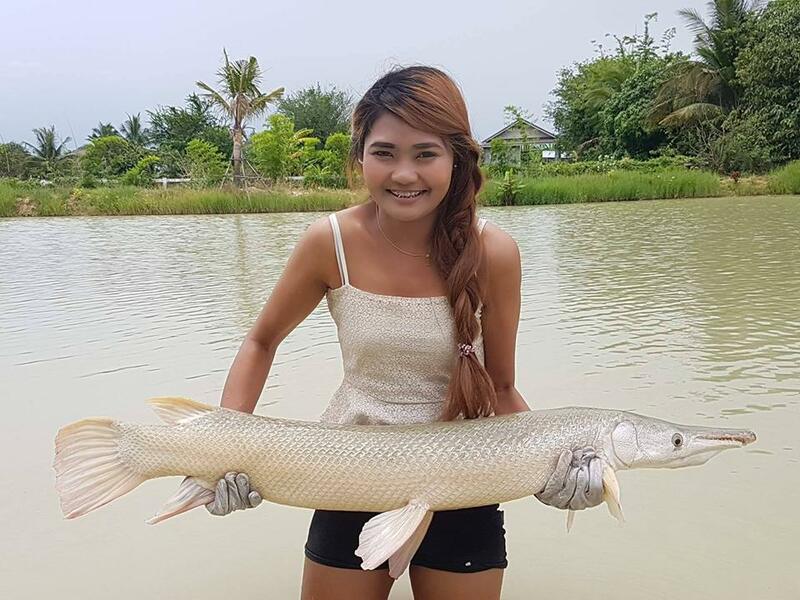 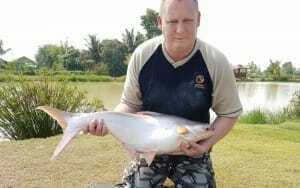 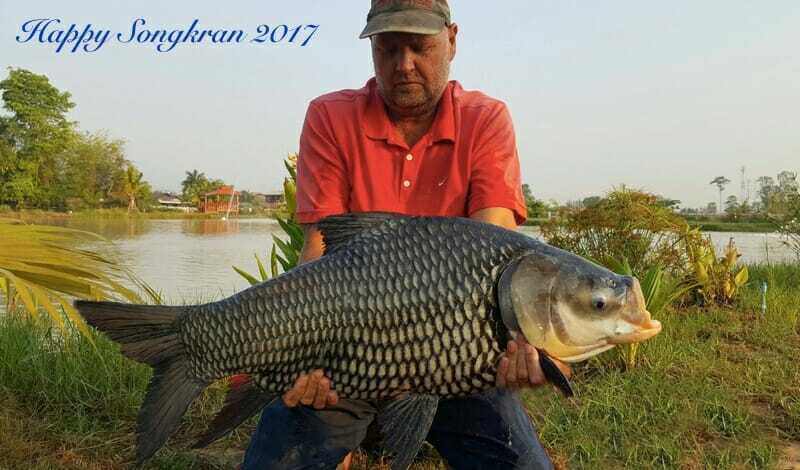 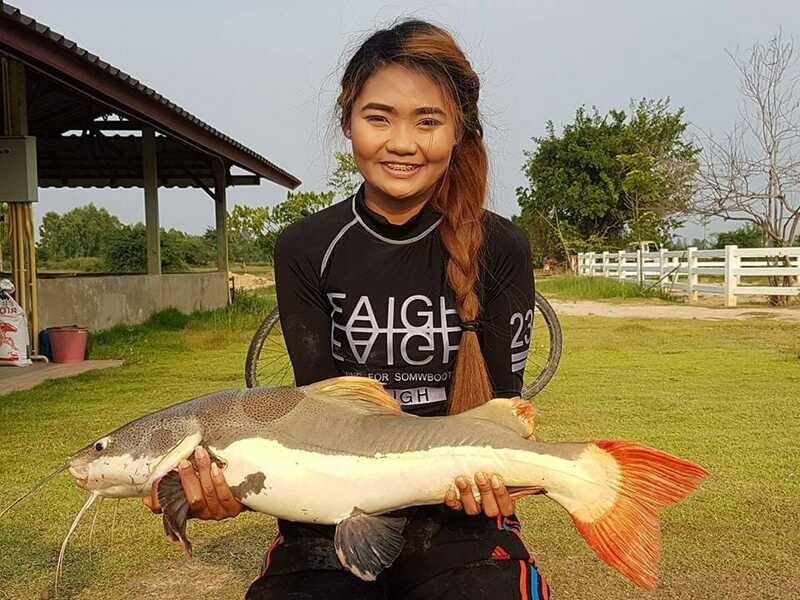 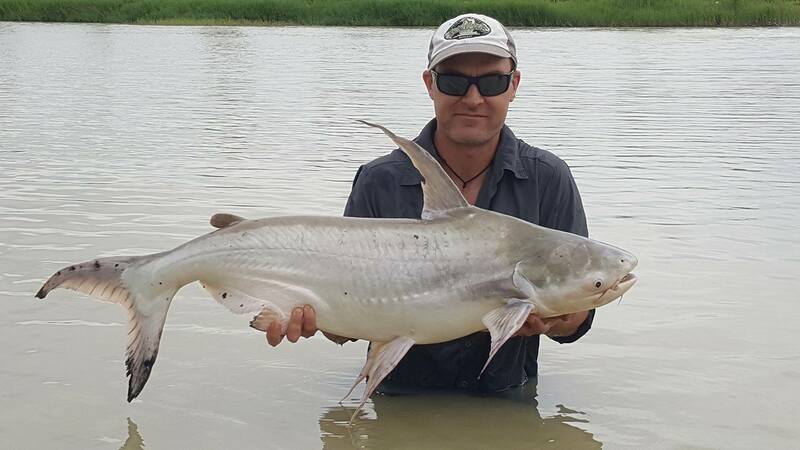 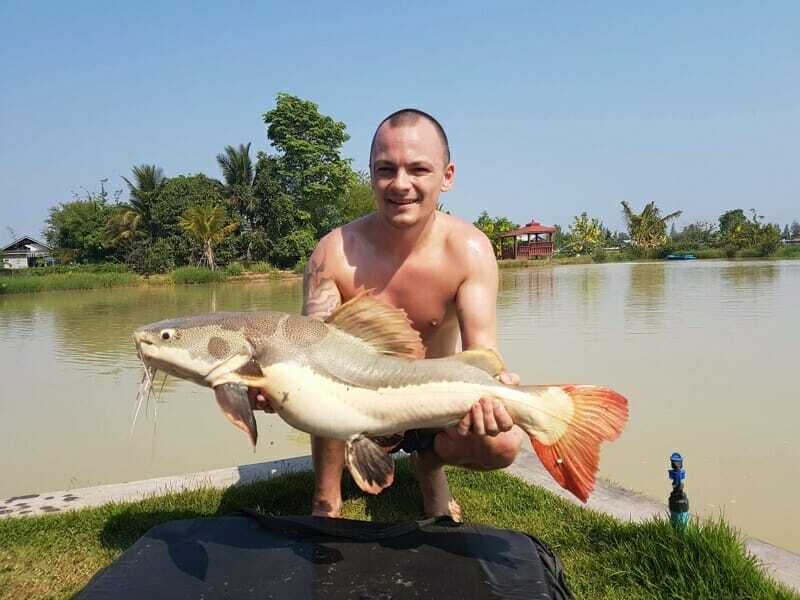 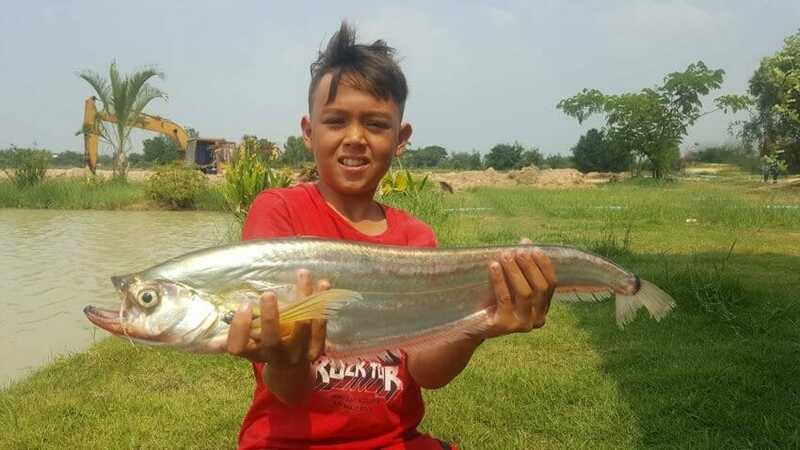 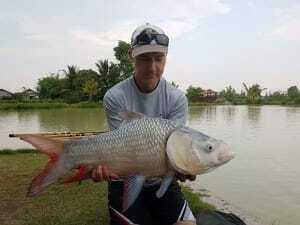 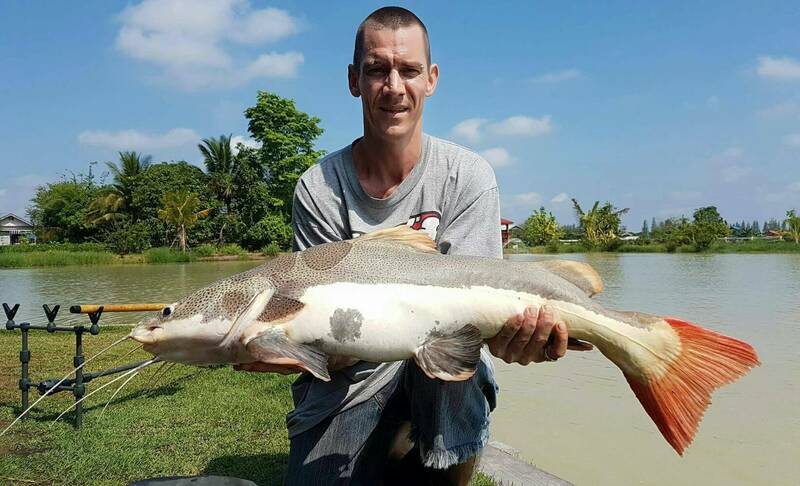 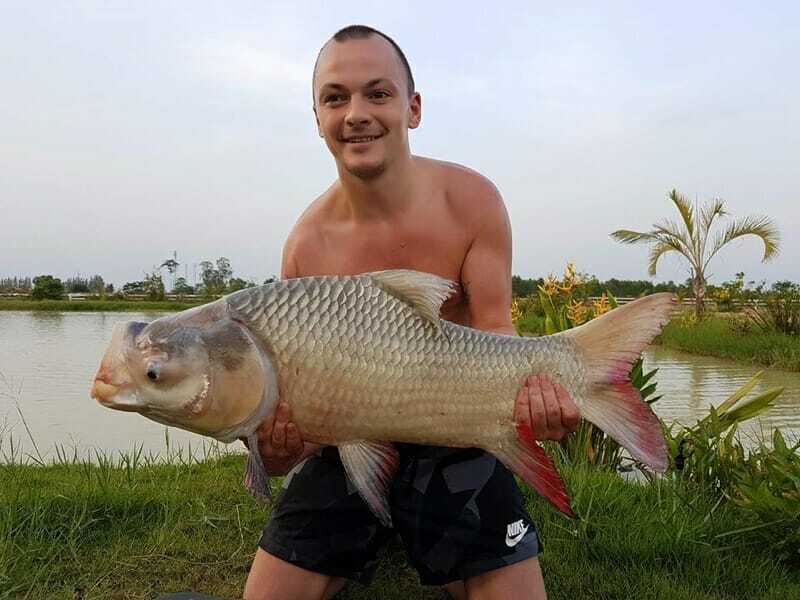 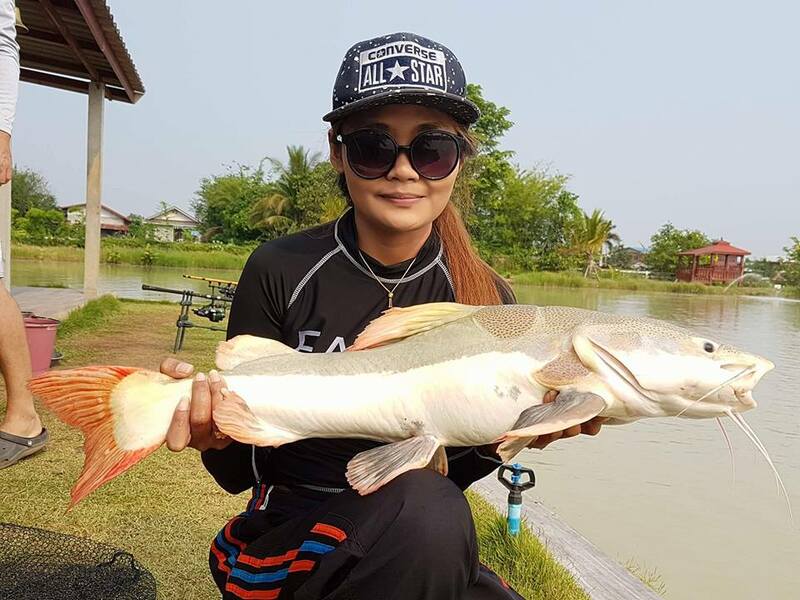 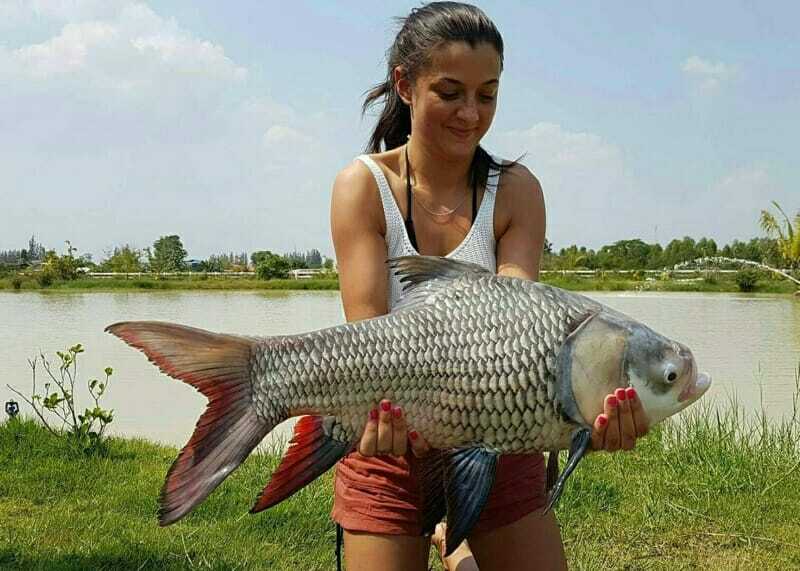 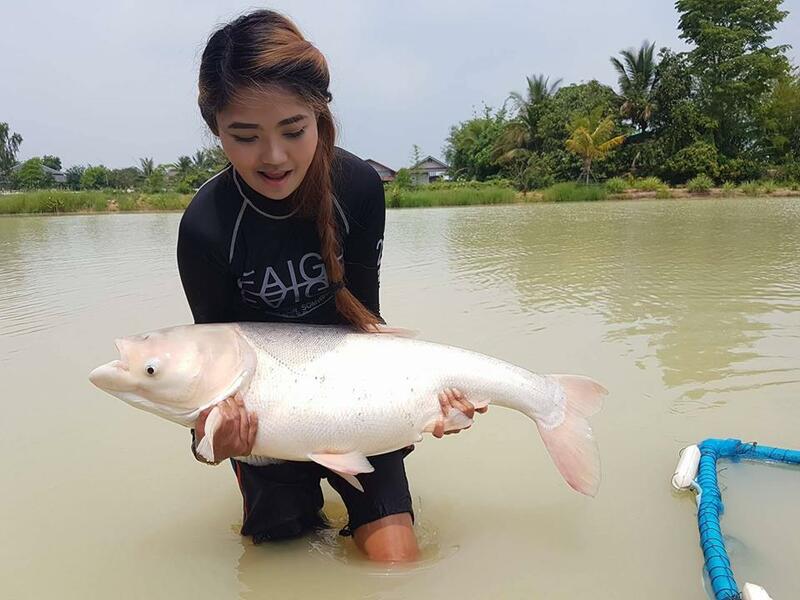 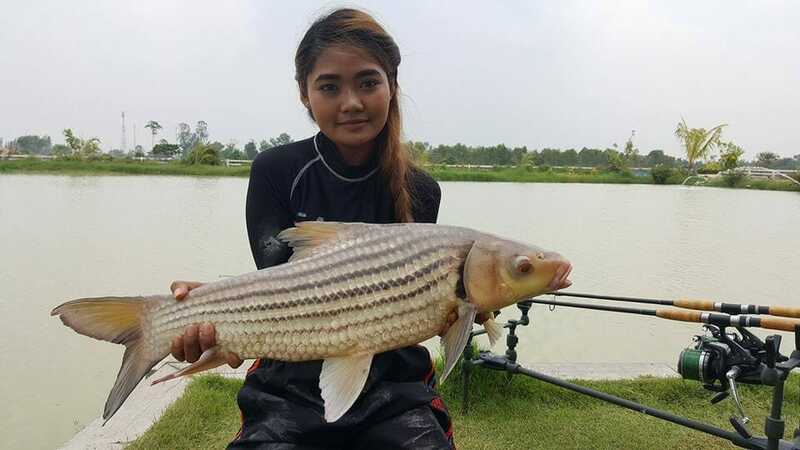 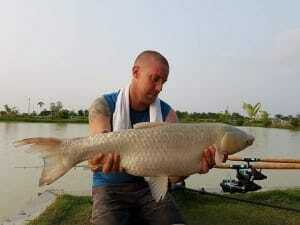 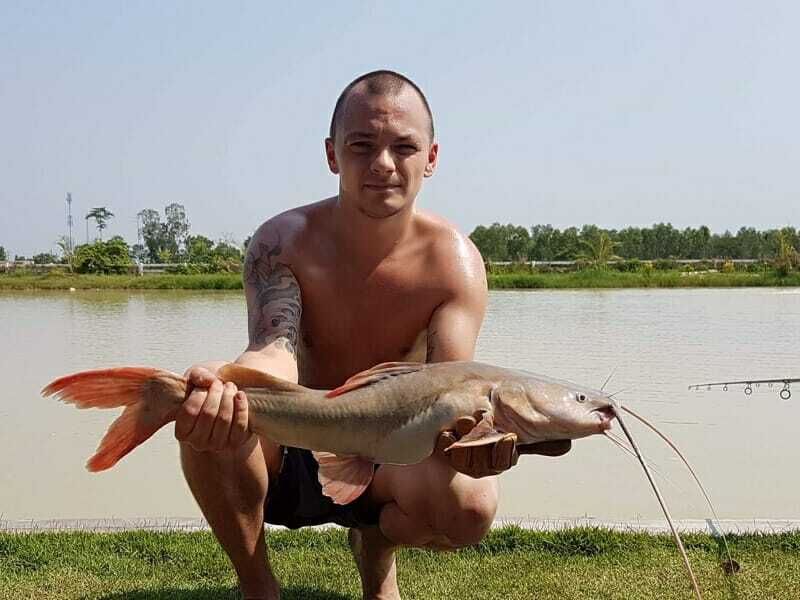 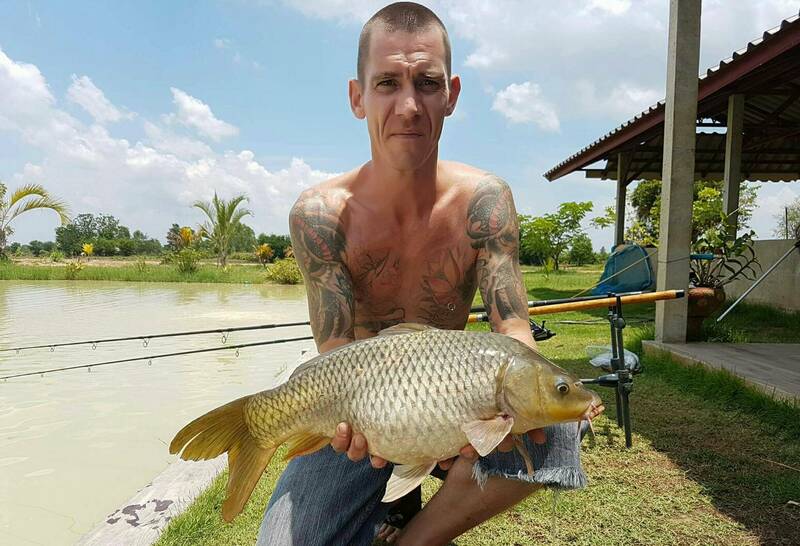 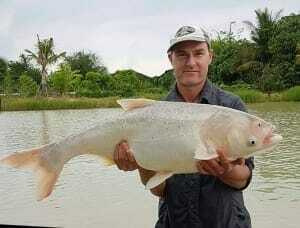 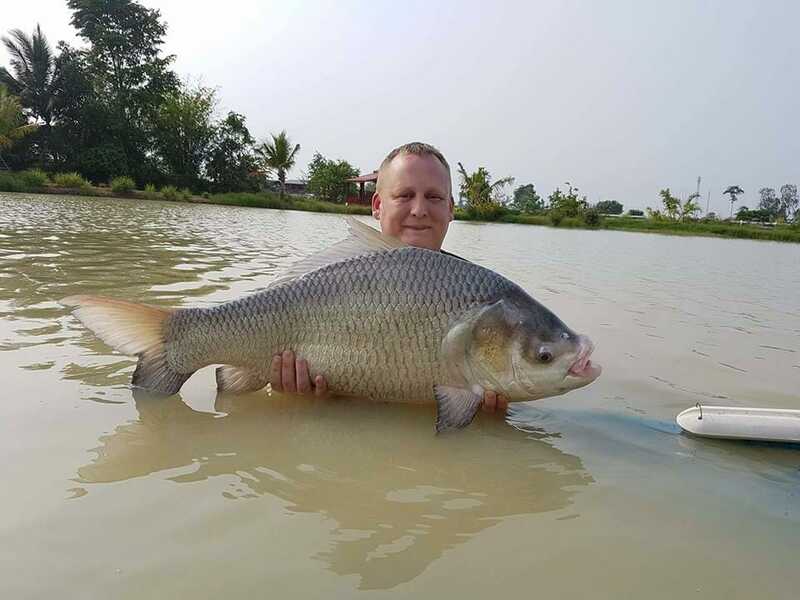 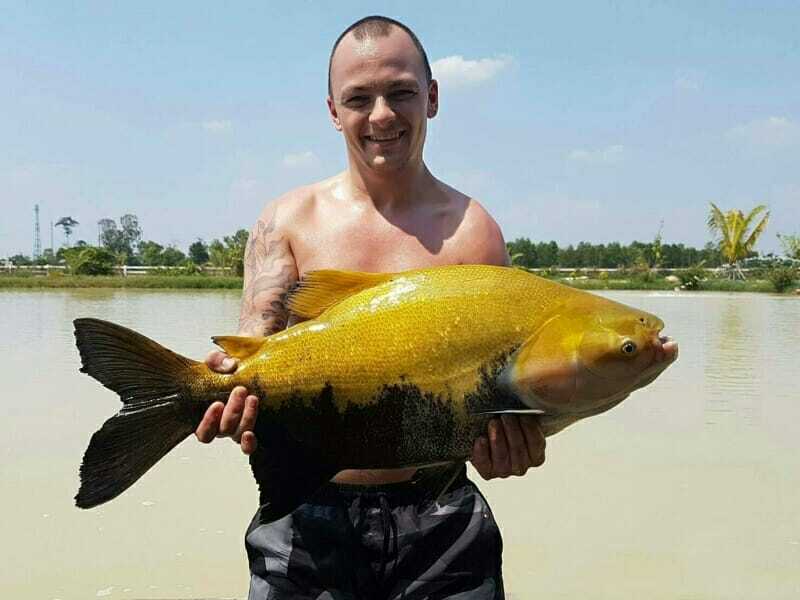 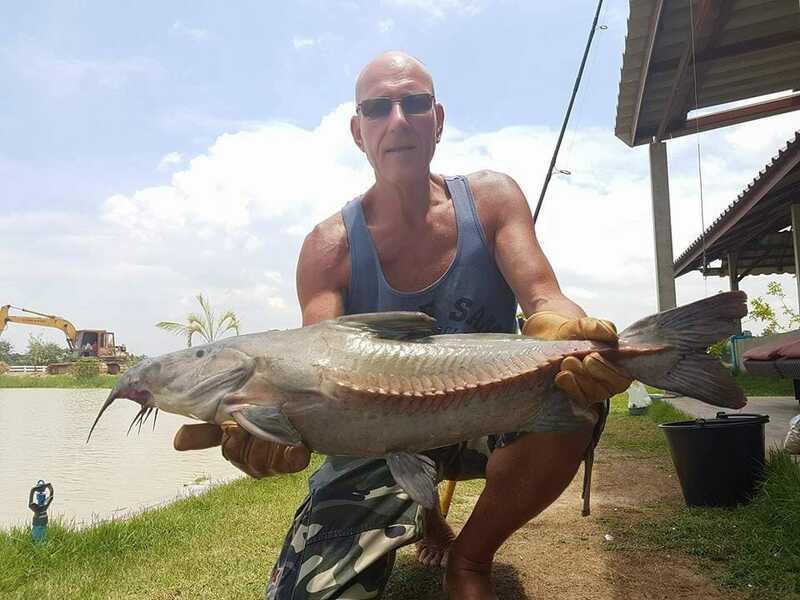 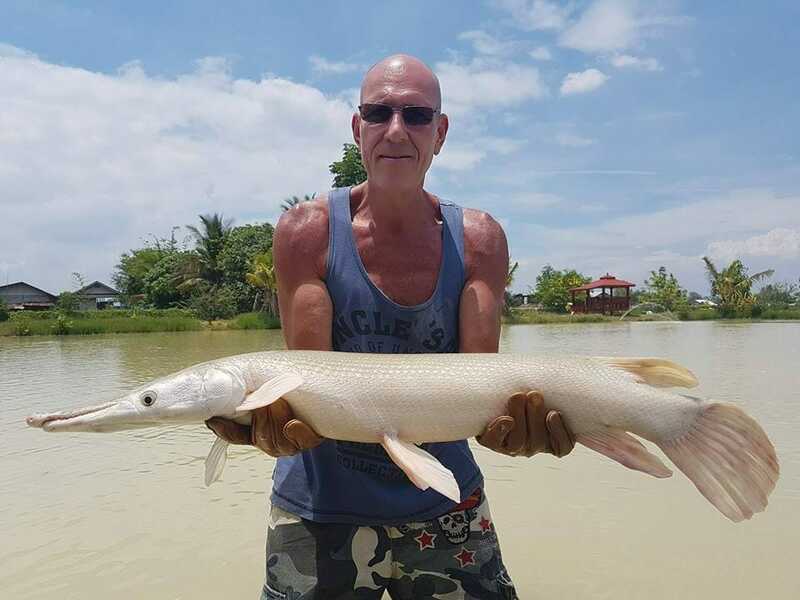 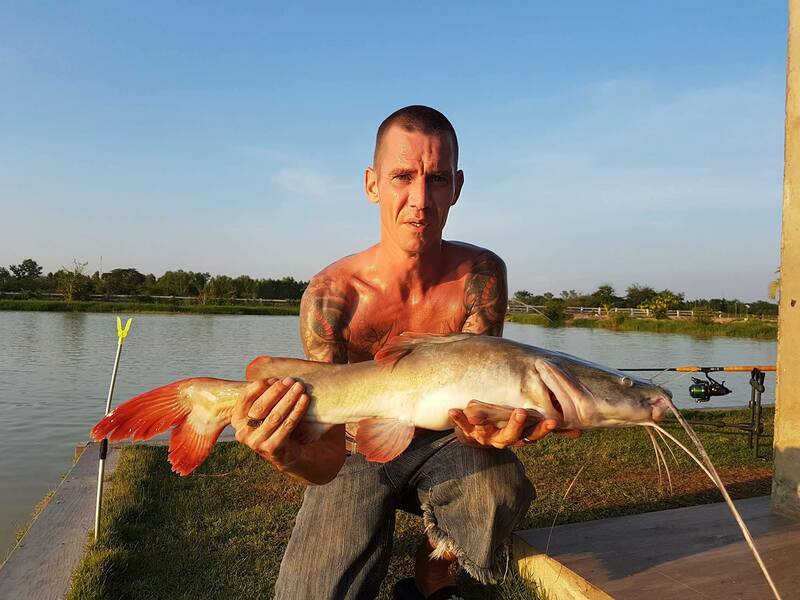 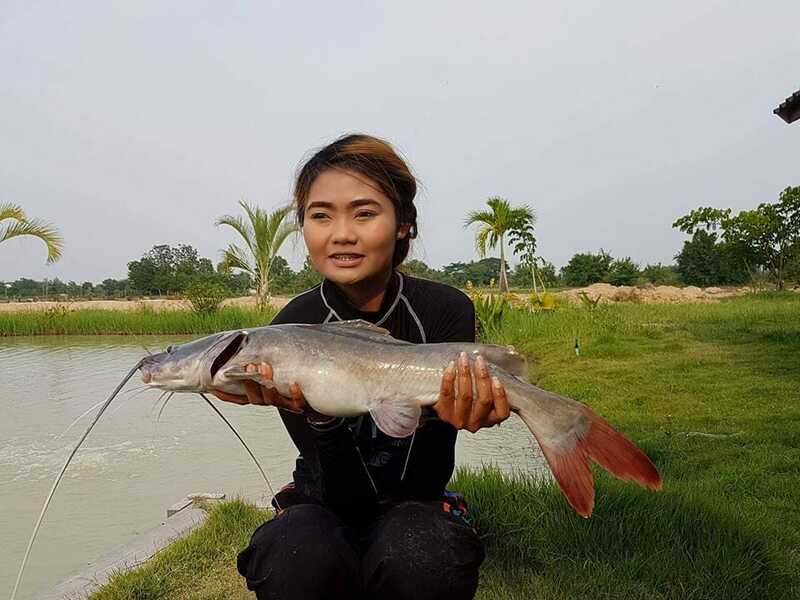 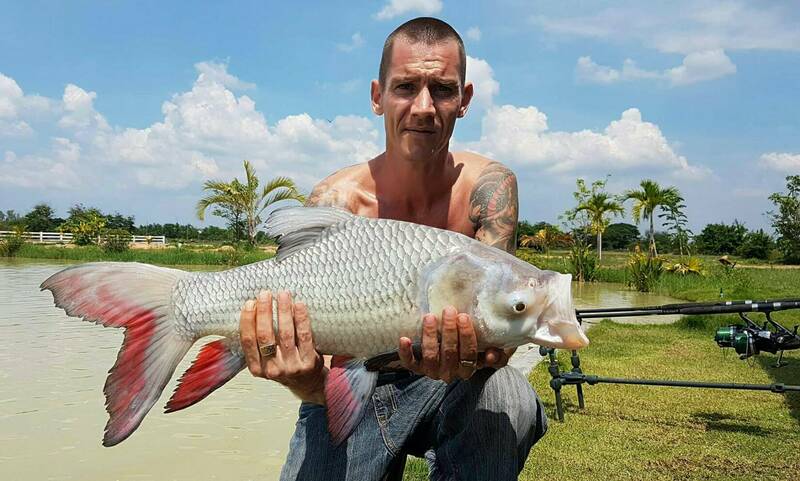 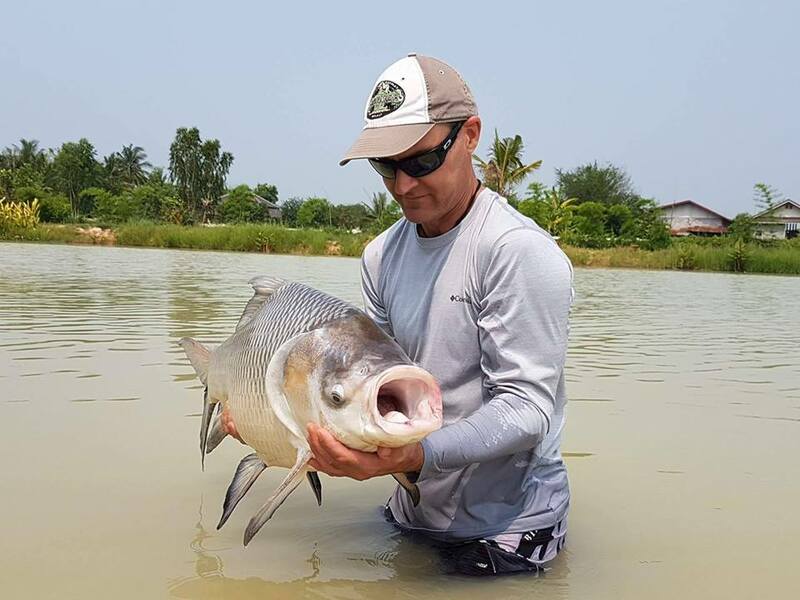 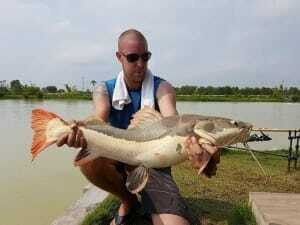 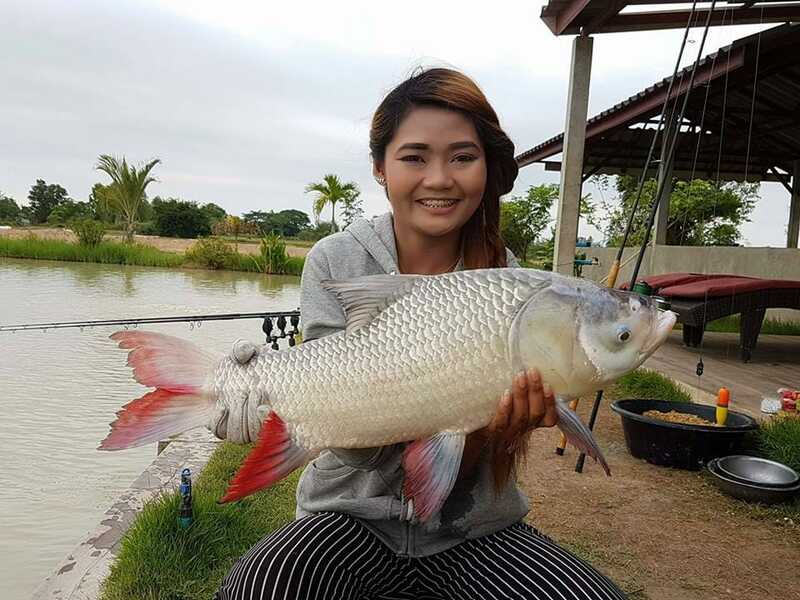 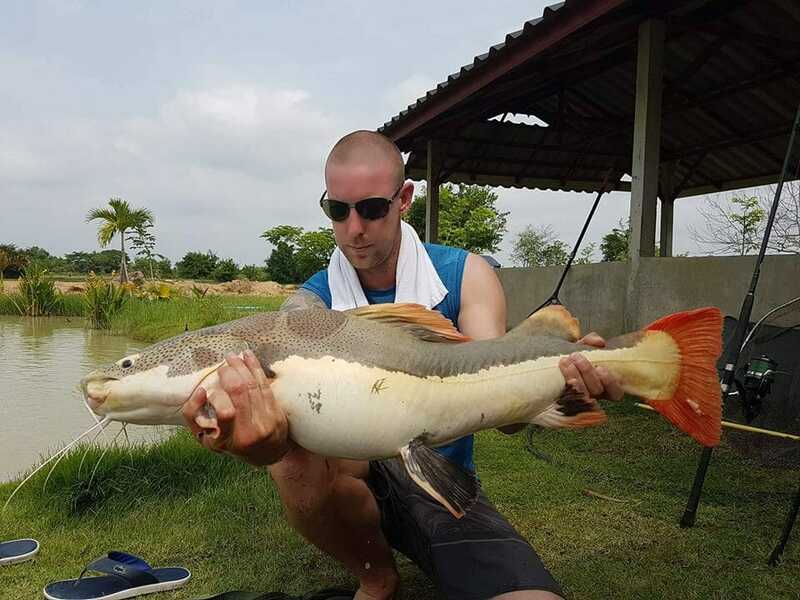 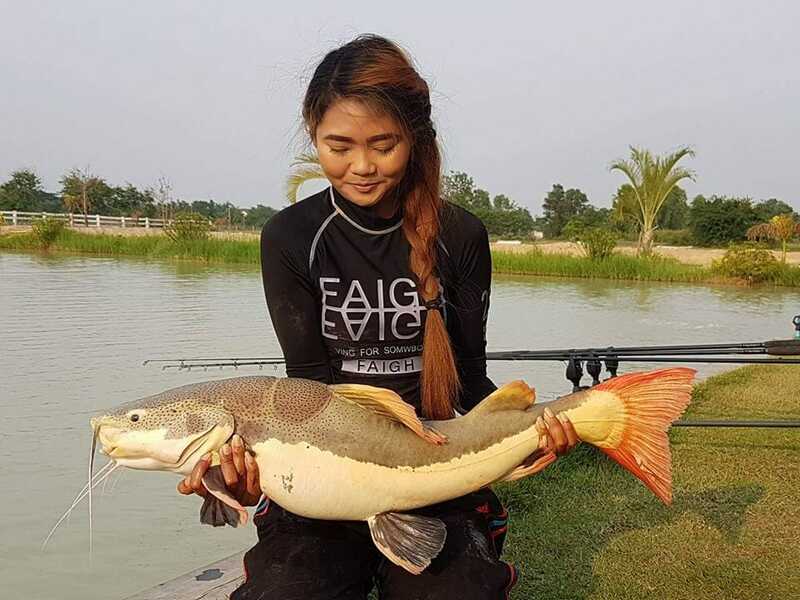 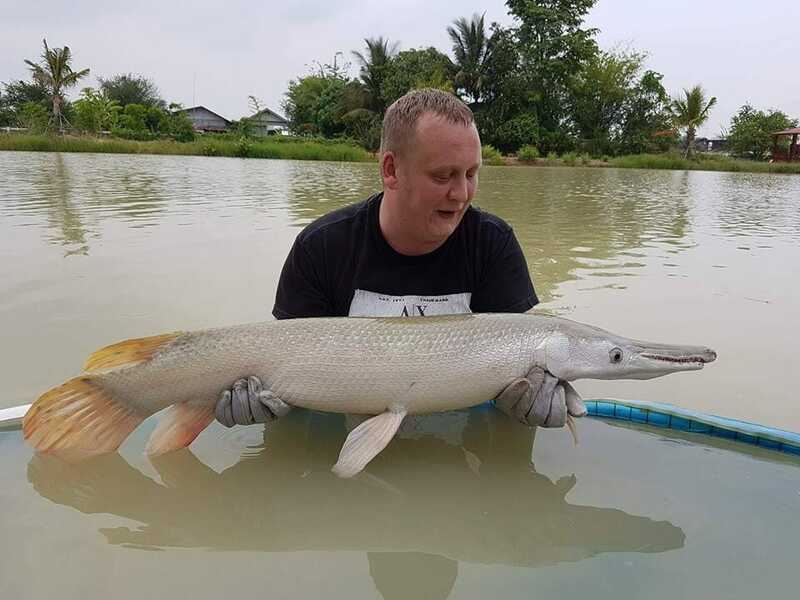 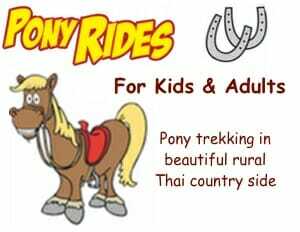 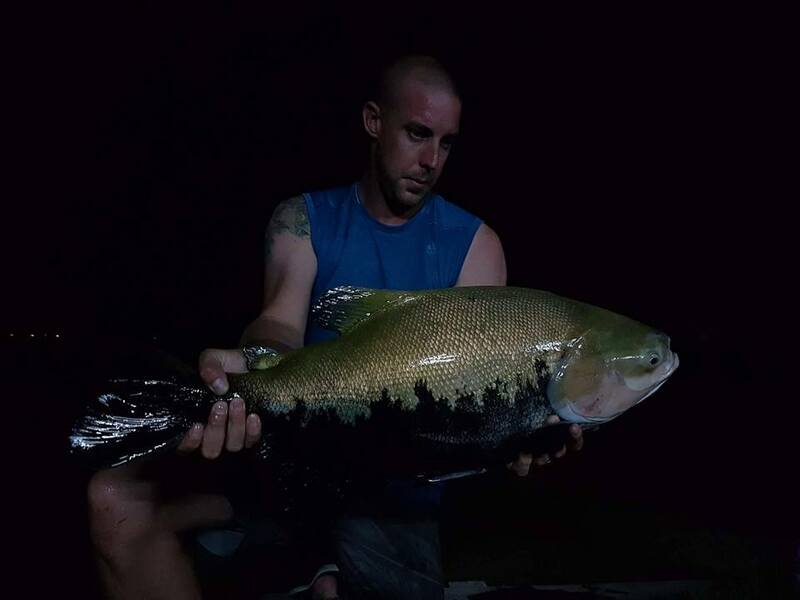 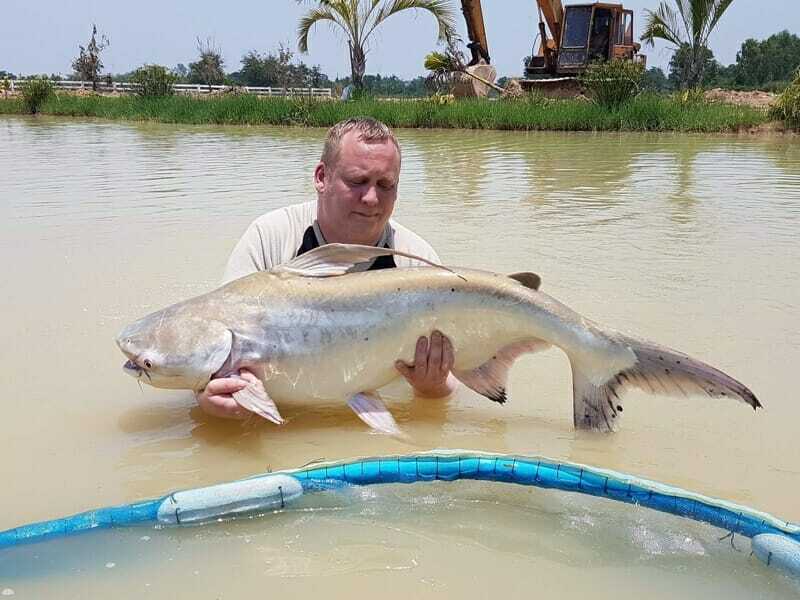 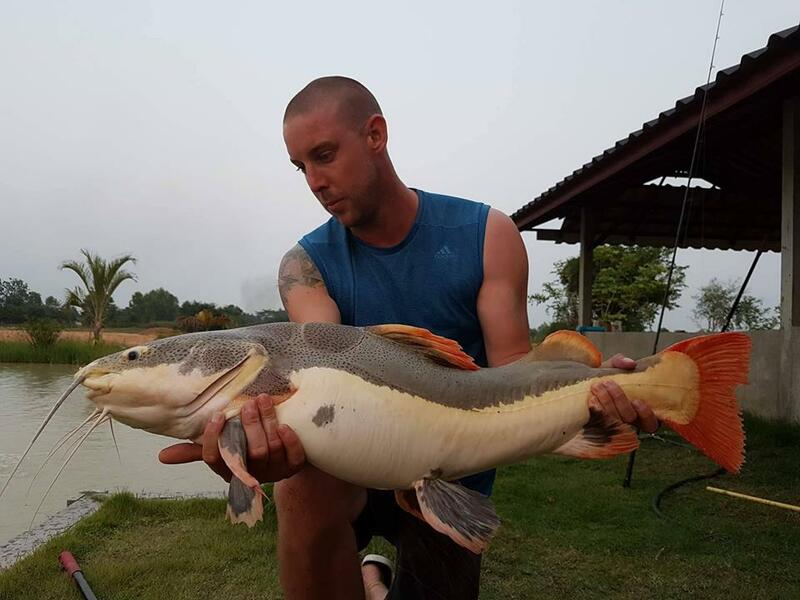 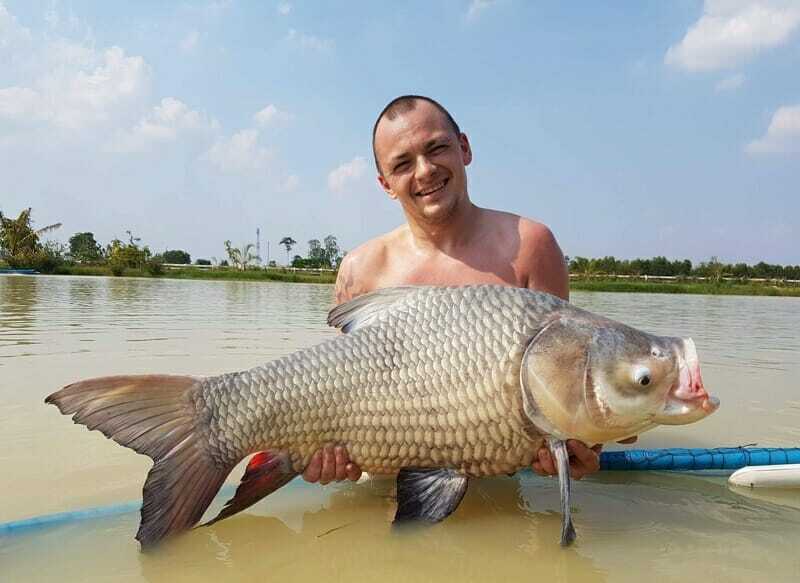 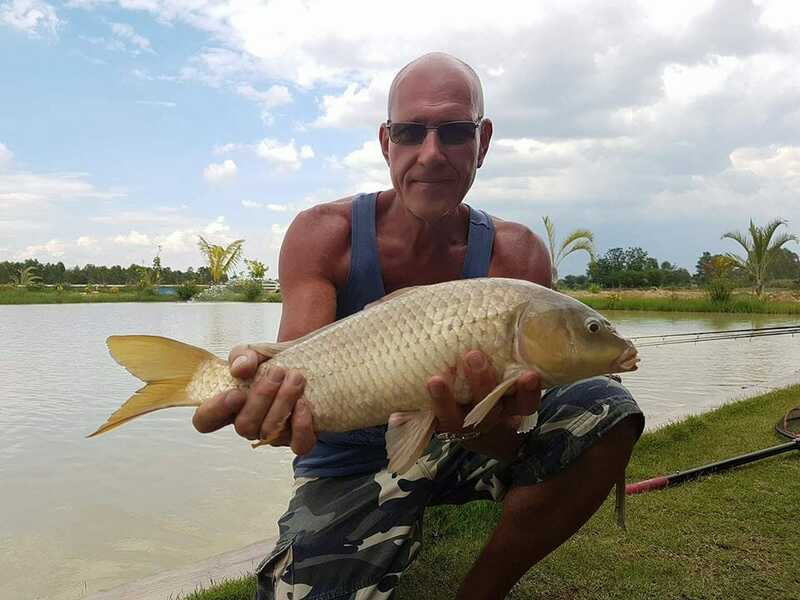 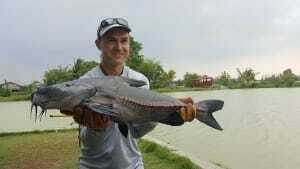 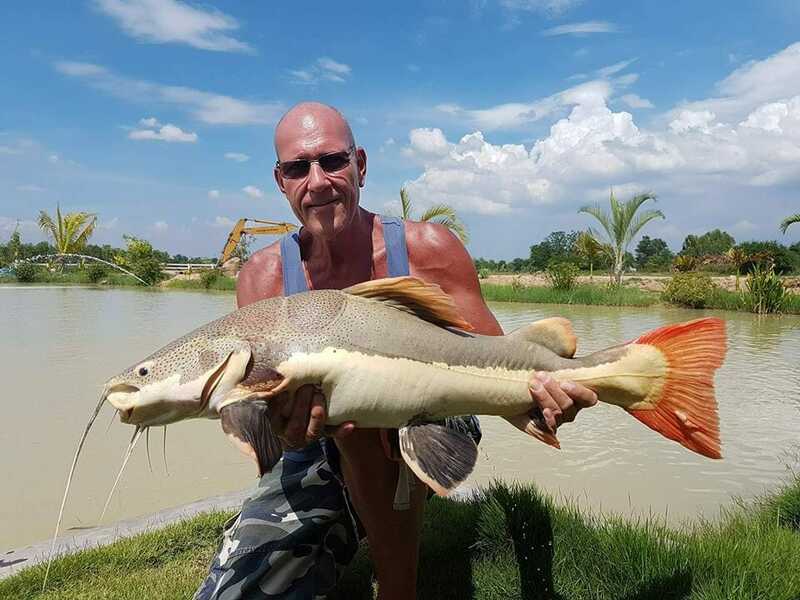 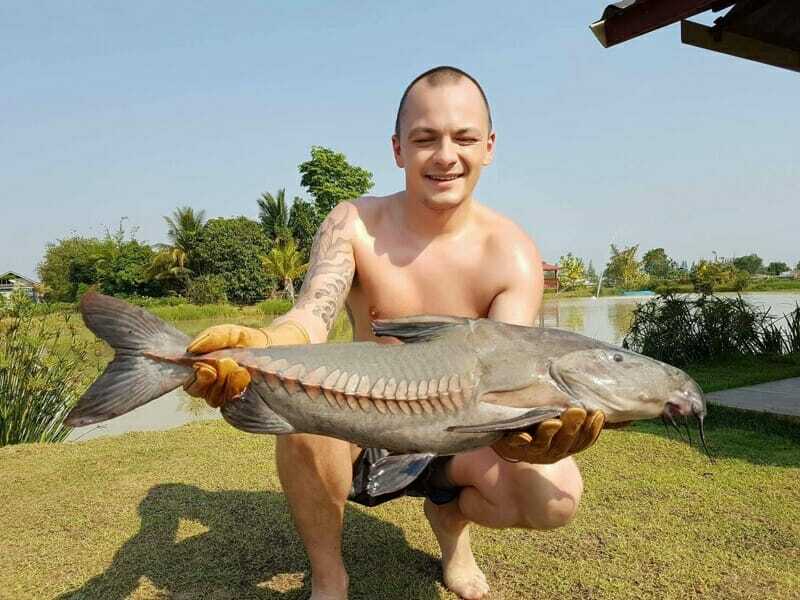 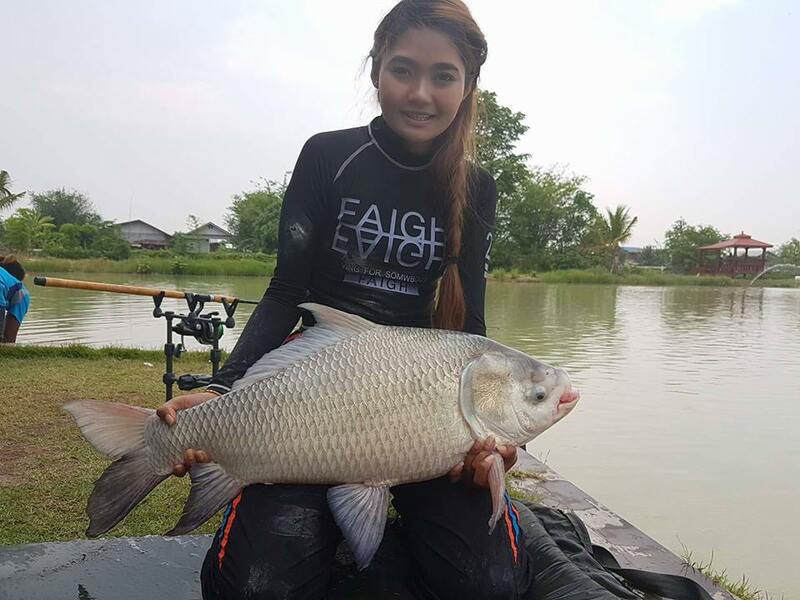 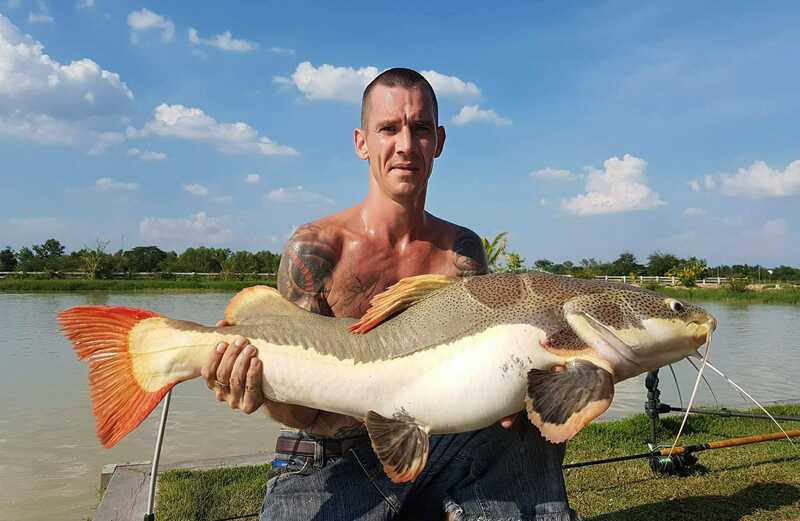 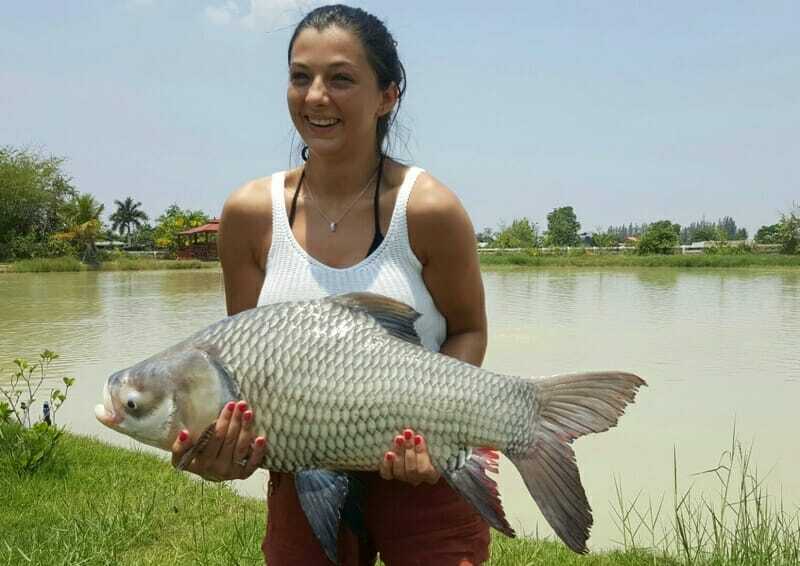 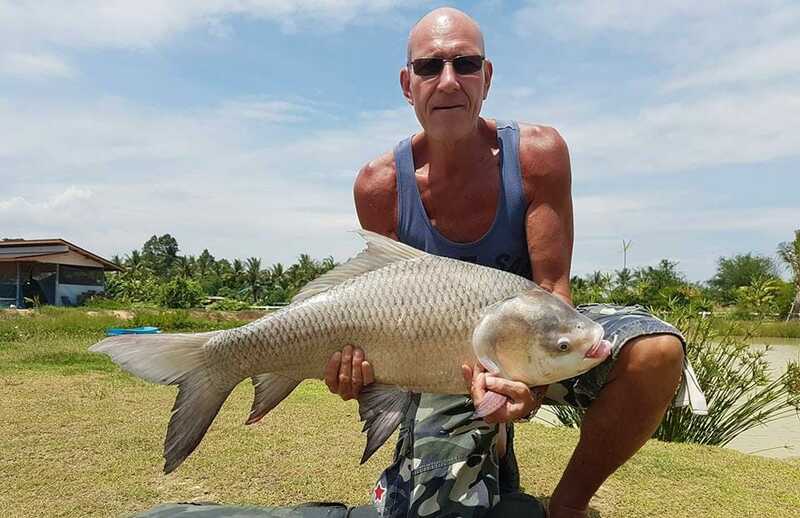 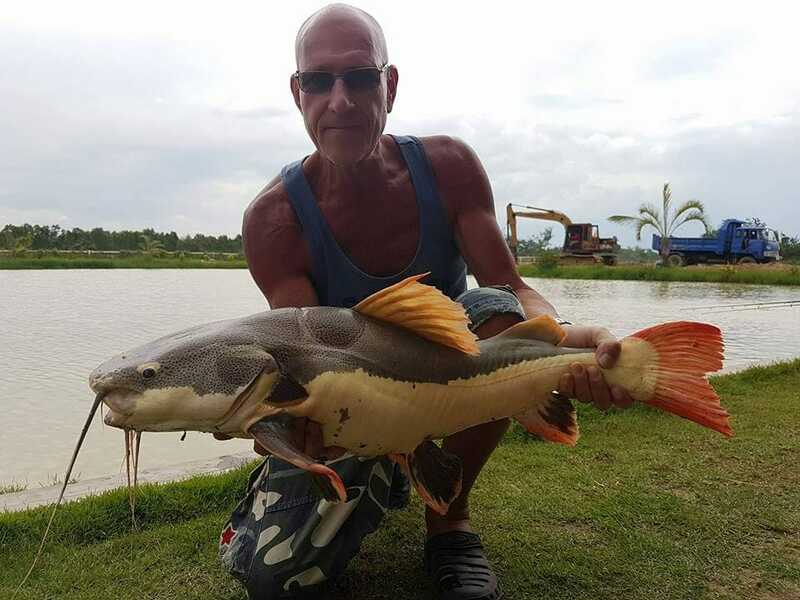 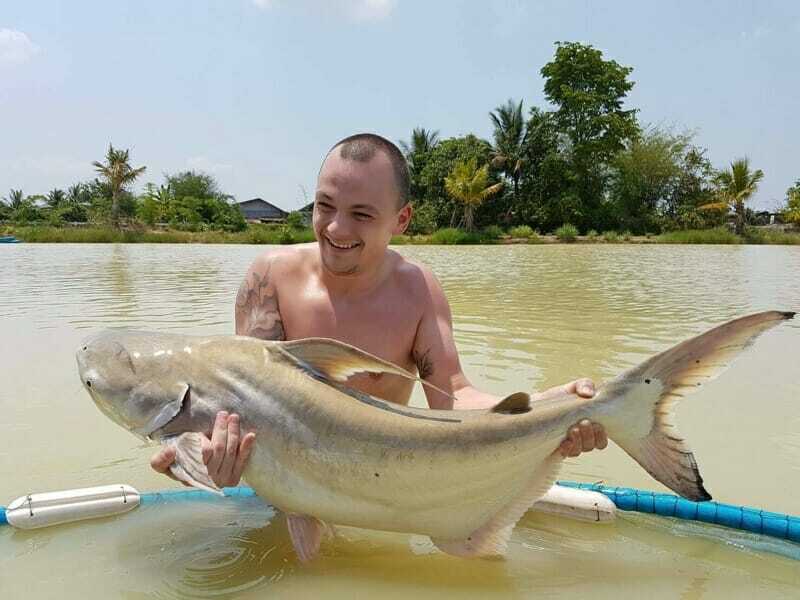 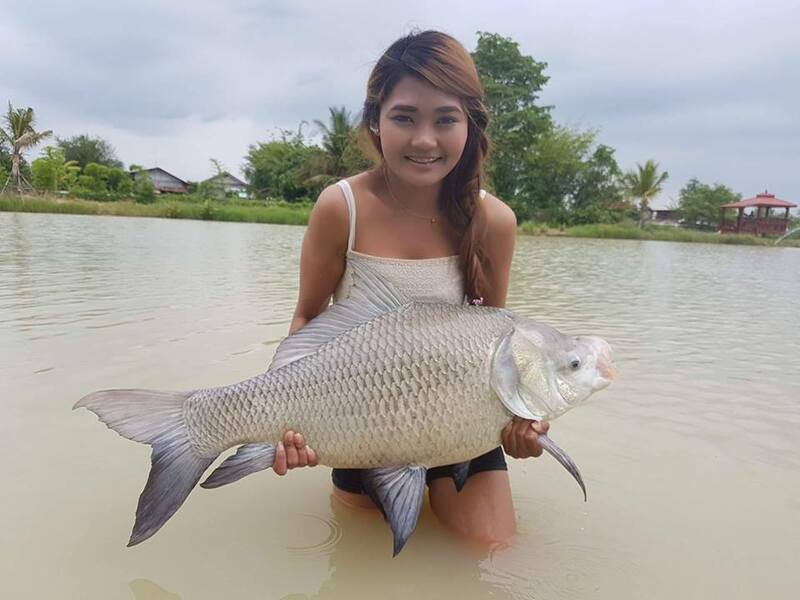 Experienced Anglers Andy and Pear have flown up from Phuket to rent the lake for a few days and got off to a very exciting start!…. 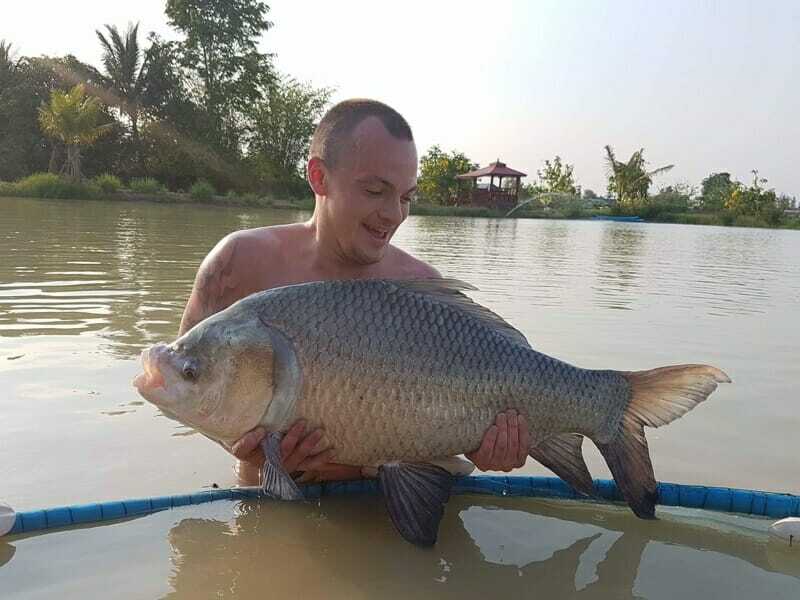 by midday Andy landed two out of his three target fish (Catla Catla Indian Carp and Ripsaw Catfish).. and then Pear went on to catch a brace of both Chinese & Julien’s Golden Prize Carp… it didn’t end there and the fish kept coming ..between them around 9 different fish species were landed throughout the day .. 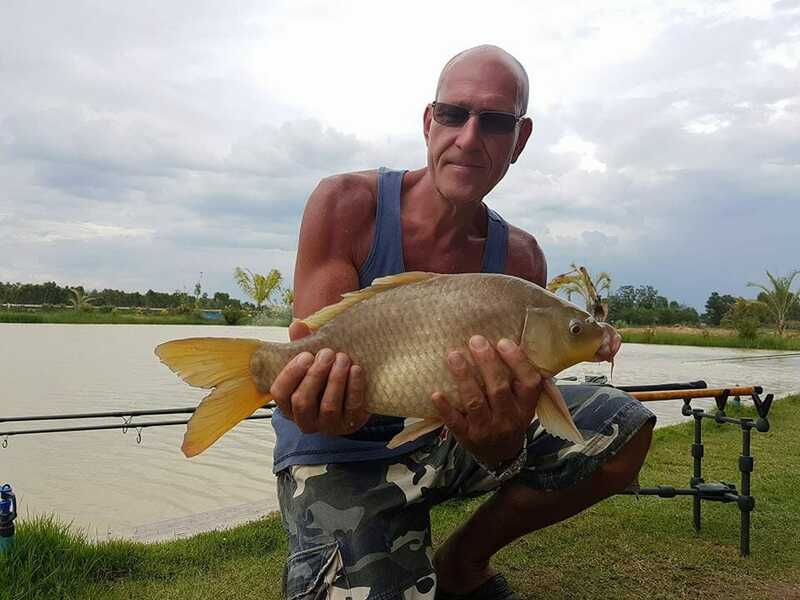 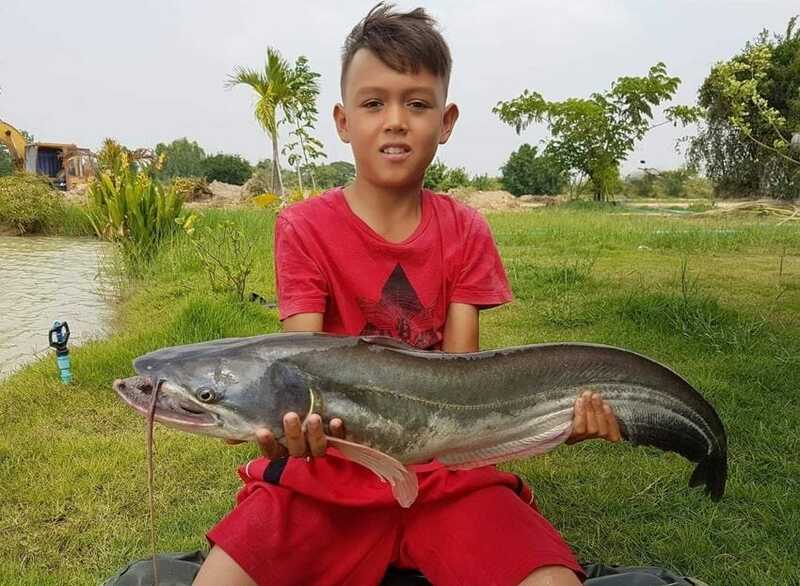 It was great finally meeting local angler Eddie and his lovely family for quite a fast paced day of fishing, I think we counted 7 different species skilfully landed….. thank you Eddie ! 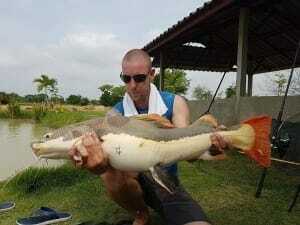 A cracking 2nd days fishing for the lads from Leicester….with Baz capturing 3 stunning Catla Catla Indian Carp, a nice Siamese and then his target fish The Alligator Gar…throughout the day an amazing 9 fish species were caught and below is a small preview… thanks again lads it was good meeting you and great fun! 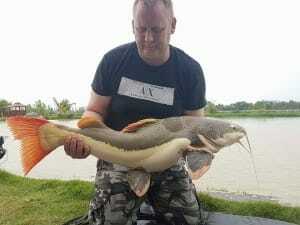 Ugly fish day.. stocking of a few new residents..
A bit of a late start still produced some exciting results for Baz and Mick from Leicester with a very nice variety of 7 different fish species landed.. Thank you again lads and we look forward to seeing you again on Monday..
A nice mixed bag for Ollie who is over here on holiday from Germany, the red tails were hungry today! 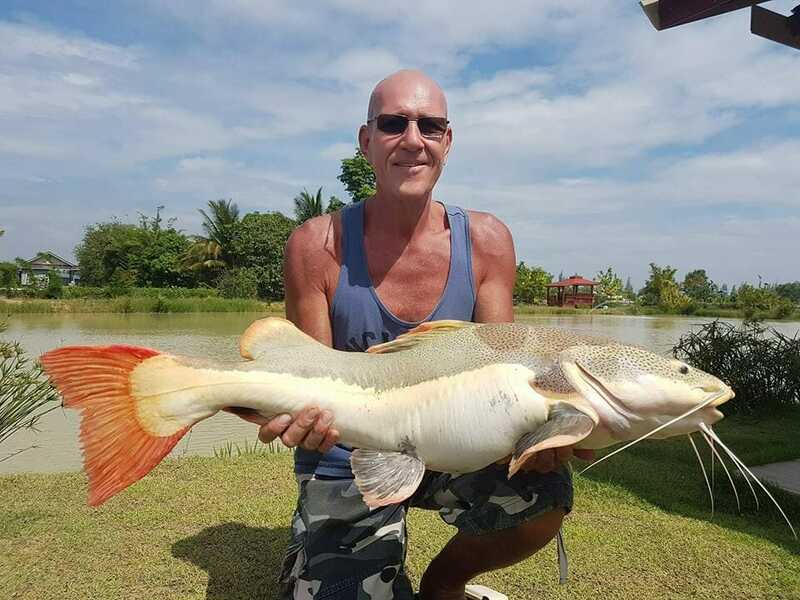 Couple of nice Amazon Redtails for Ken ..
A lovely couple from Scotland Thomas and Jodie booked the lake today and what an exciting day it turned out to be with 9 different fish species gracing the net …here are some pictures of some of the fish they caught today..
Just to let you know we will be closed for Songkran ‘ Thai New Year for 4 days 12th – 15th April… wishing you all a Happy Songkran! 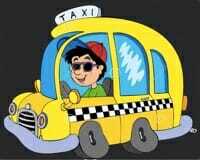 and may the fun begin..